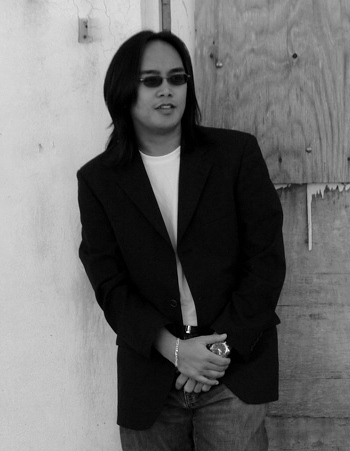 Jevon Olea is a brilliant South Florida singer, songwriter, and multi-instrumentalist who does his own music recording and arranges his own songs. Next month, he is set to appear at a singer/songwriter showcase and shine among other talented individuals. Everybody loves a good jam so, of course, I had to pick Jevon’s brain! Enjoy the interview! MJ: Jevon, I watched some of your videos on ReverbNation, and was very impressed by your voice—did you take any singing lessons or do you have an untrained, natural ability? How/when did you learn to play the guitar? What is it about this instrument that attracted you? Growing up, I was the type of kid who always played on the street and always hung out with friends; I never really was fascinated with music until that one summer, when I picked up the guitar and started learning. I was 10. My older brother taught me how to, and I just went from there. I was inspired by the grunge era of music (the days of Nirvana, Pearl Jam, Soundgarden, etc). I have always played by ear. When there was a song I wanted to learn, I would rewind the cassette player (yes, those were the “in” thing back then, ha-ha) over and over again until I got the “structure” of the song. So your bother influenced your decision to embrace music? I guess you could say that. He was very good back in the day, although he’s stopped playing for reasons I still don’t know. We are five years apart. Because he’s older, I always looked up to him as being the cool one; I wanted to emulate him and be cool as well. Back in the day, if you played music or an instrument, you were sort of the cool kid on the block. Do you play any other instrument? Yes. I also play the bass guitar, the piano, and the keyboard. My music is purely acoustic driven. I write my songs with an acoustic guitar and it is my challenge to fill the song. So I incorporate vocal harmonies and other instrumentation when I record. As far as genre, I guess you could say acoustic pop (if there is such a thing). In the song, “Into Another,” you sing, “Here I am at loss for words/I don’t know what to write.” Do you write your own lyrics, and if so, do you ever have to deal with writer’s block? Yes, I do write my own lyrics, as well as all my music. There are times when I encounter writer’s block. To deal with it, I usually perform or play cover songs, music popularized by other artists. Then it comes back to me and I get to write again. In “Dreams, “you sing, “Your heart is where I long to live .” In fact, many of songs are about love, often lost or unrequited love. Do you consider yourself a romantic? What do you look for in that special someone? (Laughs). Yes, a hopeless romantic you can add. I write about relationships, love, lost love, other people’s experiences, my own, everything . (Laughs again). Well, I used to have a special definition of what I looked for in a special someone. As I grew older, however, I realized that there is no perfect someone… So I guess, I just look for someone I can get along with. I know that’s very vague, but as you can see I don’t give it a lot of thought. The most random things inspire me. There were a few songs I wrote while watching sitcoms, for instance. The subject of death inspires me the most. I have written at least three songs about that. It is something no one really likes to talk about (myself included) so I just put it into song… It’s what hits me the most, I can say. Photograph by Eduardo Chacon. 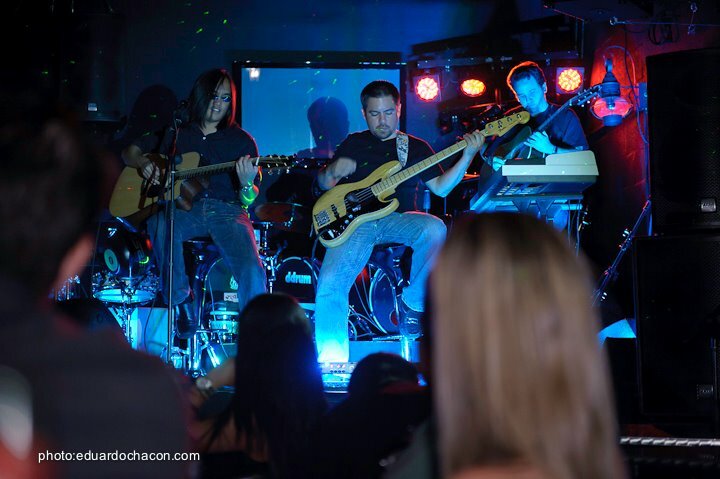 Also pictured are bassist Javier Negreiros and guitarist Jose Mena. Tell us about your collaboration with other artists. Who do you usually perform with? Currently, I collaborate with many artists in the Miami area. There are a lot of talented musicians here. I have so much respect for a lot of them. I’m currently involved with the band MenO, a band of two brothers (Jose and Andres) who play beautiful music. I am also currently playing with a Venezuelan rock band, RadioClip; they’re huge in their homeland, so that is pretty exciting. I contributed to singer Trudy Miquelerena’s solo project, which was pretty cool. I also have musician friends helping me as well, including Diego Briceno who is amazing on guitars, and Javier Negreiros who has always played bass guitar with me. I also got the chance to play with accomplished drummer Juan Sanchez. I also work with Juan Franco, Brian Casimano, guitarist Ralph Osuna and many more. All these people. They are amazing; they are incredibly blessed and gifted. I consider myself blessed to be around them, to be able to share with them the gift of music. Music is the gift that keeps on giving. It’s just amazing. I had a hard time choosing a favorite among all your songs because they’re all so inspiring. Which one is YOUR favorite? And why? Thank you very much. It means a lot to me to hear those kind words. My favorite is actually a song called “Dreams.” I wrote that song for someone who used to appear in my dreams. The song basically means that reality is what matters… I know it sounds cheesy. The other one is a song called “Ghost of Loneliness.” Although the theme is dark, I like it musically. At first, it was a very simple song. I made the structure more complex by adding a lot of components to the song. I’ve listened to your renditions of songs by famous artists such as The Killers, REM, Counting Crows, and many others. Who is your favorite artist/band? That is a tough question because there are a lot of artists I really like. REM has had a huge impact on me musically. I love how those guys keep it simple. U2 is another favorite, although I have not done a song of theirs. It’s rather tricky to cover a U2 song and I try my hardest not to butcher a song; I try to do justice to that artist… Sting is probably one of my favorites too. Of course, “Ghost of Loneliness” is not to be taken literally, but you do mention paradise and “Heaven’s close, but it’s too far. “The song, “Watching over you,” also led me to think about your personal beliefs in regards to life (and death). The song is about a dearly departed, and you sing, “He’s watching over you tonight.” What do you think happens after we die? I do believe in the afterlife. I wrote “Watching Over You” for a dear friend of mine, after she lost a loved one in a tragic car accident on St. Patrick’s Day. Her emotions were so powerful, I could not find the right words to comfort her. As soon as I wrote that song, I sent it to her. She was thankful and I sort of felt it was my way of easing her grief. “Ghost of Loneliness” was written for a friend of mine who died tragically three years ago. so yes, they are powerful songs about our dearly departed. I like to hang out at home. (Laughs). I live a very simple life there, mostly catching up on some TV programs. I have made my house into a mini-vacation spot where I can relax and really unwind. I also work on my cars from time to time as I do have a knack for mechanical work. Jevon makes appearances at the House of Rock, in Miami. He is currently part of a local music movement called Underground Miami Entertainment, and also hosts a talk show called UME@305 on Radio305. Primetone Studios will soon release two of Jevon’s songs. Keep an eye (an an ear) for them!